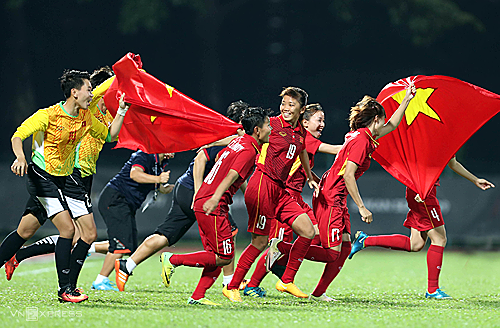 HÀ NỘI — The Vietnamese women’s football team have received a bonus of VNĐ800 million (US$34,800) from the Việt Nam Football Federation for earning a spot in the 2020 Tokyo Olympics’ third qualifying round. Việt Nam won all three matches during the second qualifying round in Uzbekistan to move to the third round, which is set to be held early next year. The third round will see eight teams play in a round-robin format of two groups. The top two teams from each group will qualify for the final round of Asian qualifiers.